The search for your new home ends here! Located in the highly sought-after Martin's Grove community, now offering for sale this Terrific family home, 4 bedroom 2 full bath, built in 2015, features huge eat-in kitchen, indoor utility room, large great room with flexible space, 42" birch cabinets in kitchen, granite kitchen countertops with huge island, large master suite with tray ceilings and nice walk in closet, master bath has granite counter tops with dual sinks, garden tub, and separate shower. Granite counter in the 2nd bathroom with a beautiful full wall tile tub/shower, new carpet and pad throughout, new paint, all new ceiling fan/lights throughout, extensive ceramic tile flooring, custom blinds. 10 x 12 private lanai with nice private yard and vinyl fence. 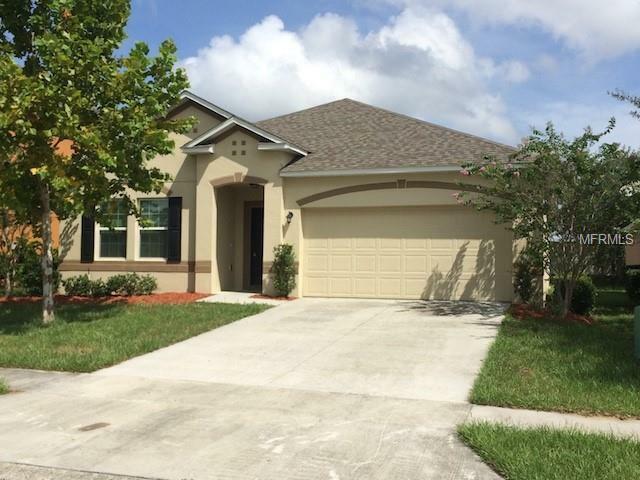 Located just a few minutes from downtown Tavares, and 15 minutes from downtown Mount Dora. Schedule your showing today!